I had lived in Spain for a whole ten months and yet I haven’t been to Granada. I know. Don’t give me that look! I had more than enough shame and disappointed friends to deal with after this confession. It was like having gone to Habiba without trying…knafeh! Luckily enough, I had my chance to repent a year later. After a very intense first semester of my MA in Barcelona, I decided to spend my Christmas holiday in Andalusia and crown this travel with two days in the beautiful city of Granada. Before heading on my long-awaited journey to southern Spain, I went around asking people who have lived there for some recommendations. 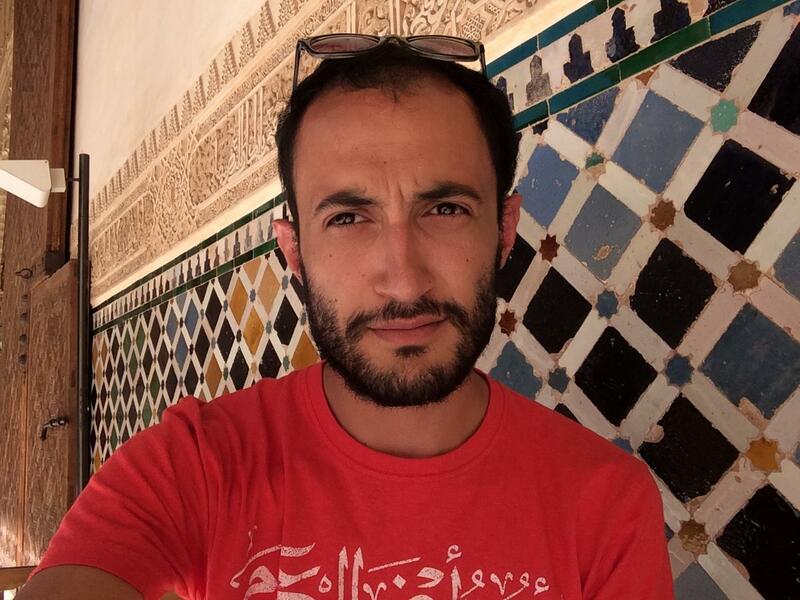 I cannot stress this enough: whenever I mentioned that I would be concluding my visit in Granada, they would all let out a faint sigh, place a hand on their chests and utter some inaudible words in Spanish — exactly how I react every time someone says “Mloukhiyeh” in front of me…yamma! When I finally got there, it all made sense to me. There is some inexplicable air of magic that you can feel roaming the city. Be it the narrow alleys, the bitter orange trees, the beautiful breeze that’s always there, and not to mention the charm and generosity of Grenadians. As for the beauty of architecture, it’s in abundance. Mudéjar, Moorish and Gothic are just a few of the architectural styles Granada has to offer, and what is even far more astonishing is how one can find a multitude of styles in one single building or location, showcasing the multitudes of ethnicities and cultures that made Granada the gem it is nowadays. Now we all know that Alhambra is the place to be. It’s hands down one of the most beautiful places on earth with its dazzling gardens, exceptional palaces and breathtaking views. But here is the thing: if you don’t buy your entry ticket ahead of time, you might just stay outside the walls of the fortress with a broken heart! 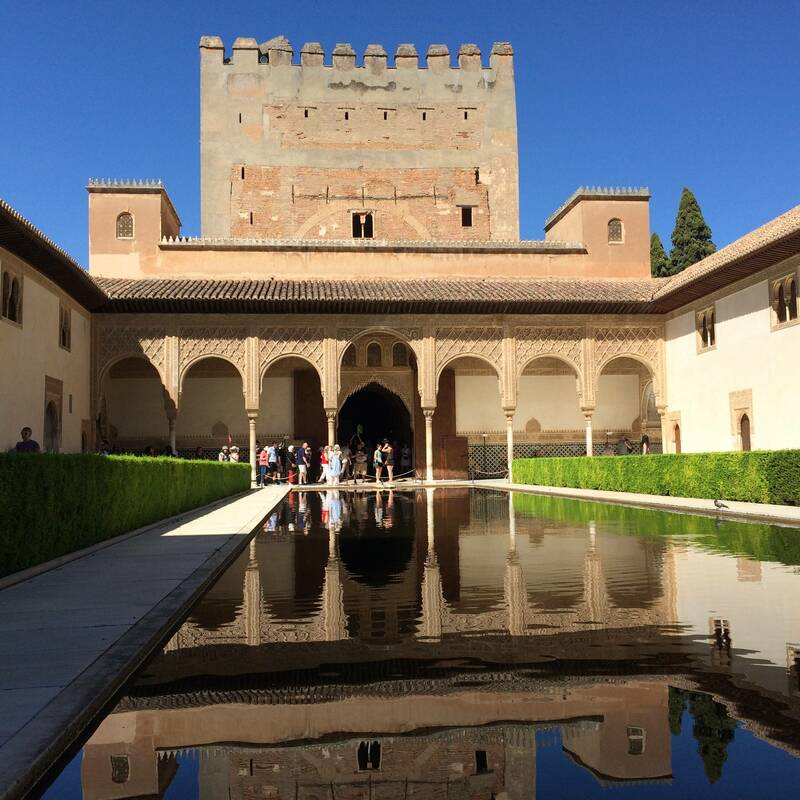 Since Alhambra receives hundreds of visitors every day (because hey, it’s Alhambra!) there is a limited number of tickets sold daily — especially for entering the Nasrid Palaces where the famed Court of the Lions is located. During peak seasons, visitors start queuing for tickets as early as 4 AM and tickets get sold out as early as 8 AM, so book your ticket soon enough to get extra sleep time and skip the queues. A teeny-tiny brotherly tip from your fellow Arab: many Grenadians have Arab roots, do you know what that means? They will stuff you with food. And they won’t take no for an answer. Also, the moment they see leftovers in your plate it’s going to be Friday-lunch-at-Teita’s revisited. Avoid their wrath, finish your food and believe the waiter who would tell you that the remaining bite of your tortilla would turn you into a champ. But worry not, fellow Bedouin, for Granada will make you walk the calories away. But while you’re at it, desert would also be a good idea! 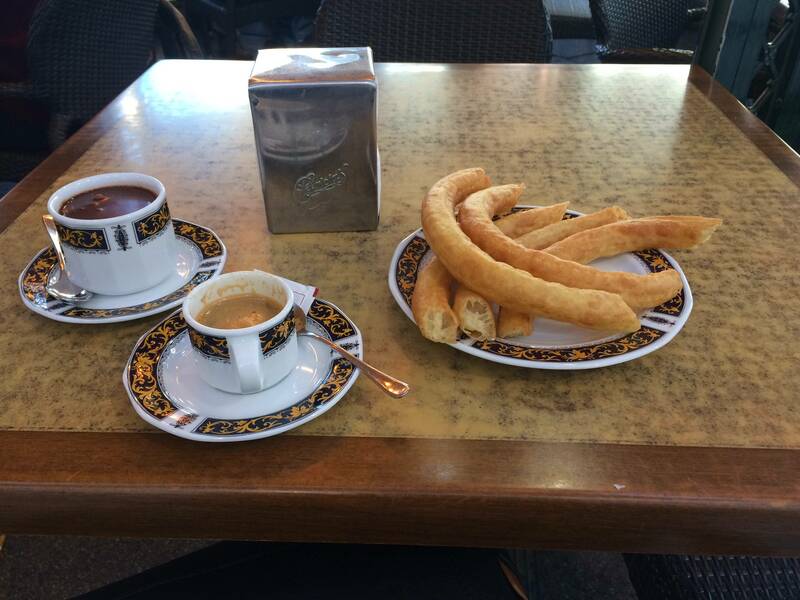 In the city center hit one of the many Churrerías, ask for “churros con chocolate” and indulge yourself ya kbeer! This meeting of Karabeej Halab and molten chocolate, it’s the perfect recharge after a long day of on-foot discovery of the city. Are you single? Go to San Nicolas viewpoint at night and curse your bad luck like a pro. Are you in a relationship? Go to San Nicolas viewpoint at night and exchange cheesy lines with your significant other over a romantic outlook on Alhambra. This place gives the most beautiful view you can get out of Granada, and it’s always crammed full of vendors, street dancers and musicians to make your night.